To create a USB installer disk when you have the ISO handy, you will need to go and download rufus. You can also use powershell to create these types of disks, but this is quick and easy. It's fairly straight forward. Just run Rufus, tick the "Create a bootable disk using:" and select ISO image. Click the "select image" button and select the ISO you want to use. Select the USB device you wish to use for the installation and they partition scheme you want to use. 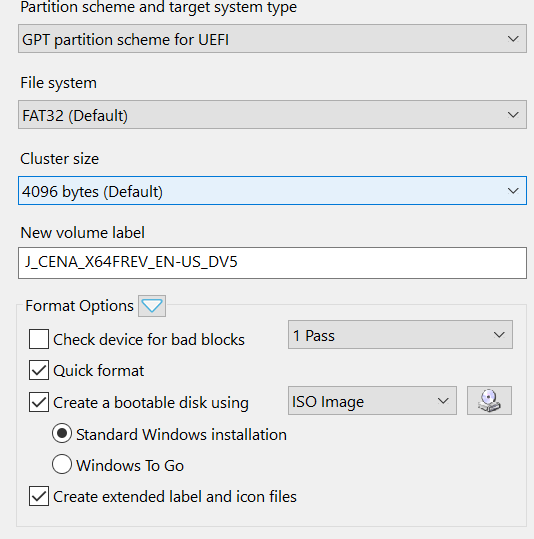 I chose to use GPT Partition scheme for UEFI because I know that the machine I'm using will support it.